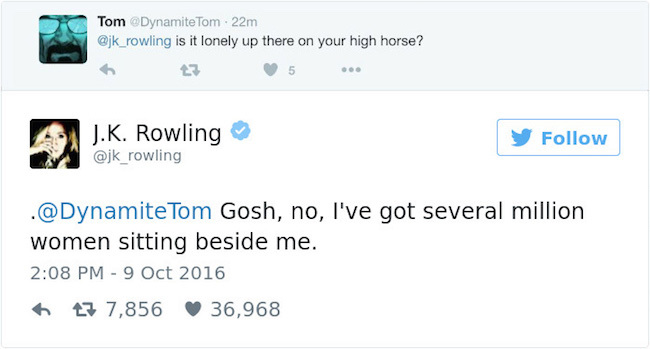 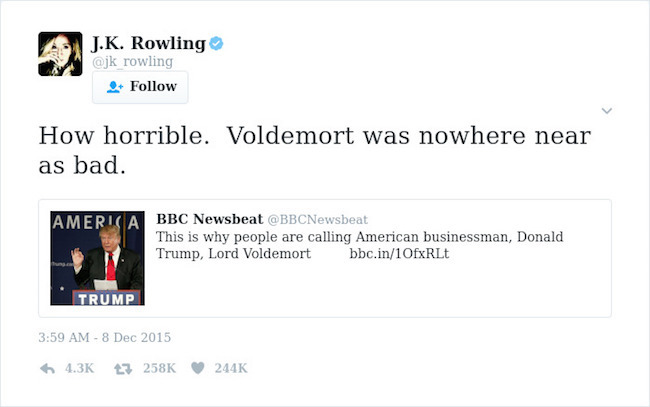 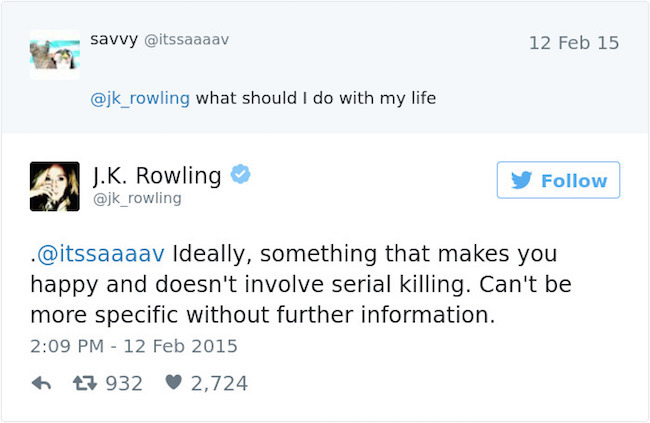 If you’re not following J.K. Rowling on Twitter, you’re missing out. 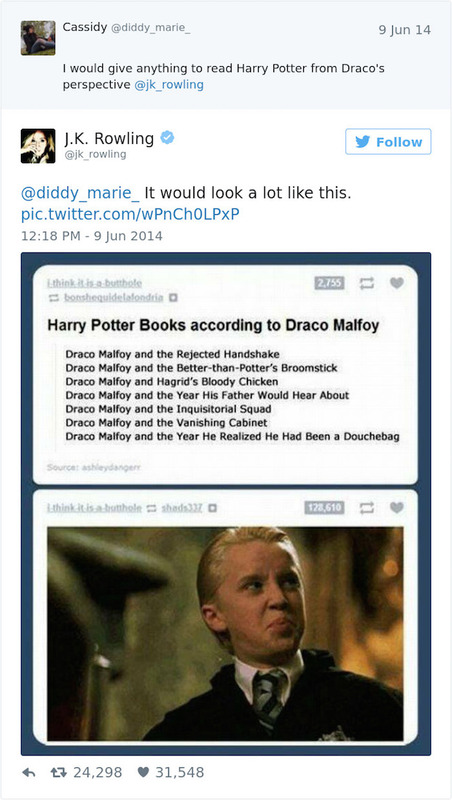 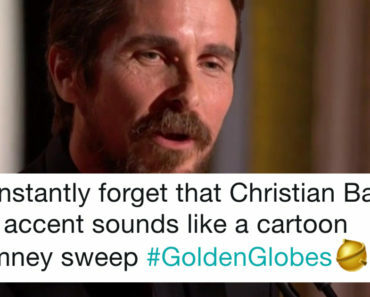 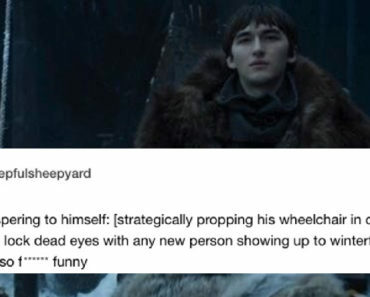 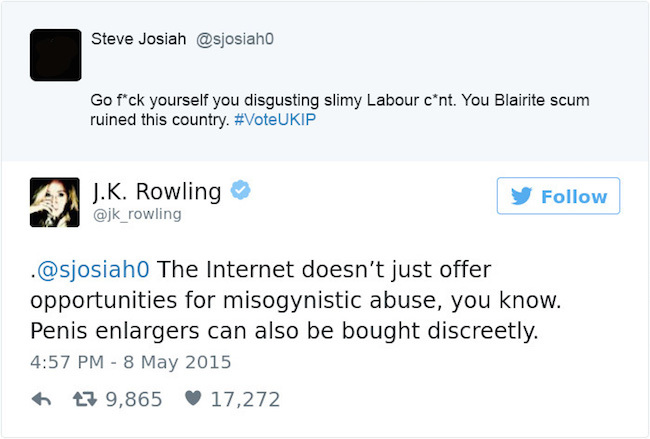 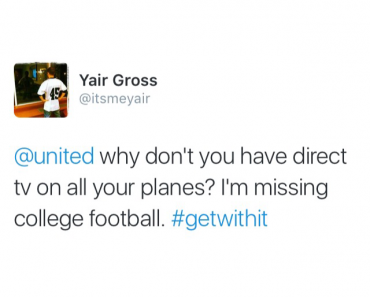 The Harry Potter author has become an expert at taking on the most awful scum of the Internet. 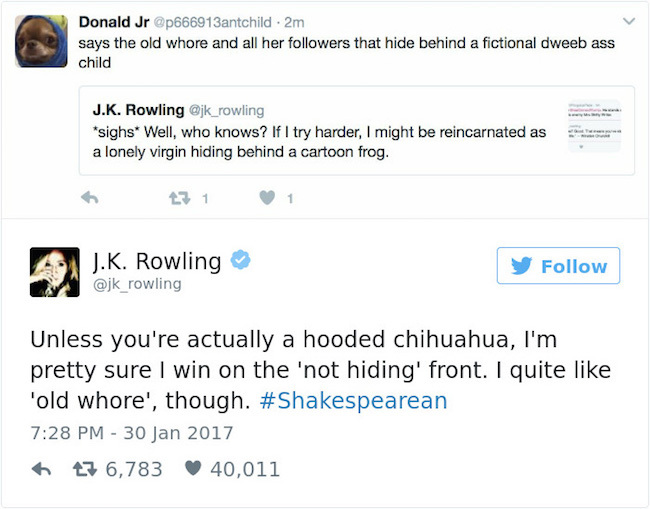 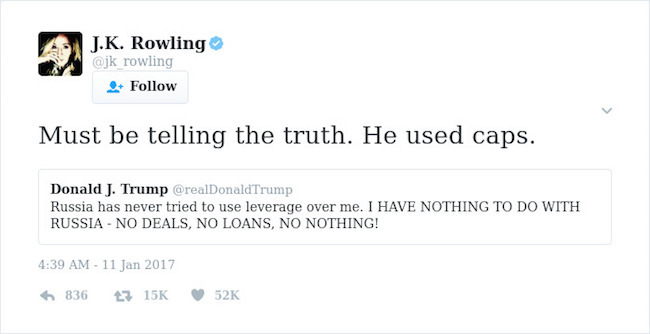 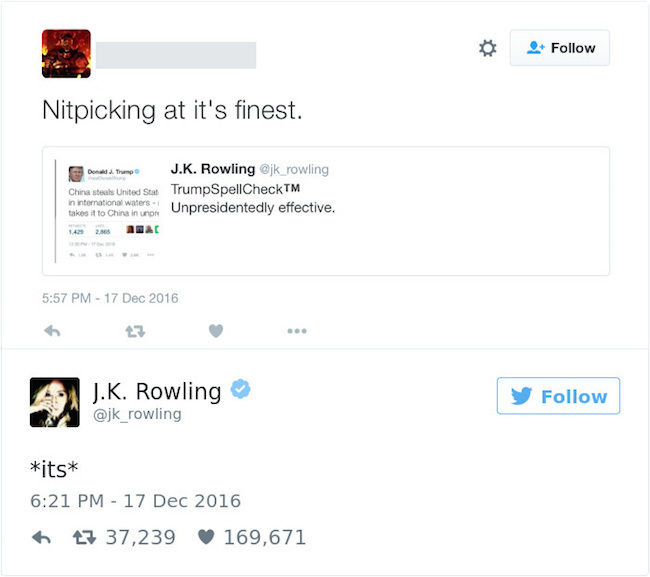 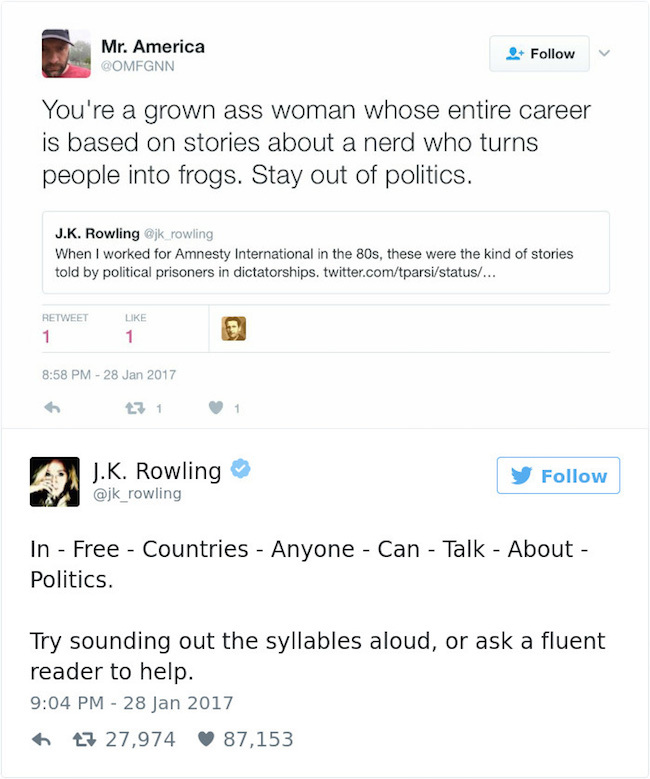 People often use Twitter as an opportunity to verbally attack Rowling, but they’re no match for her witty and intelligent retorts. 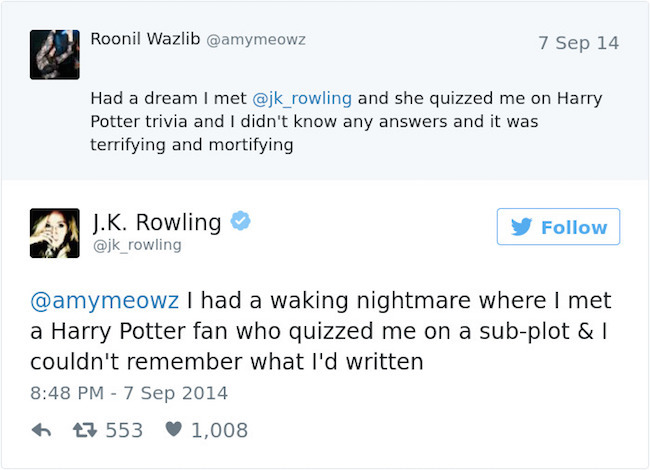 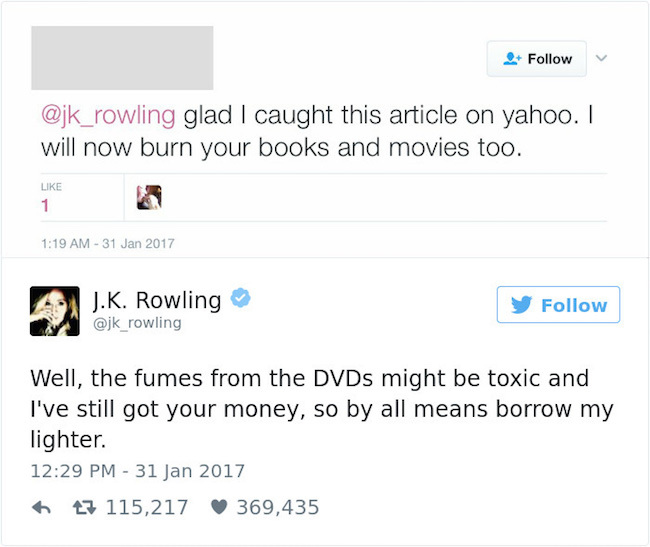 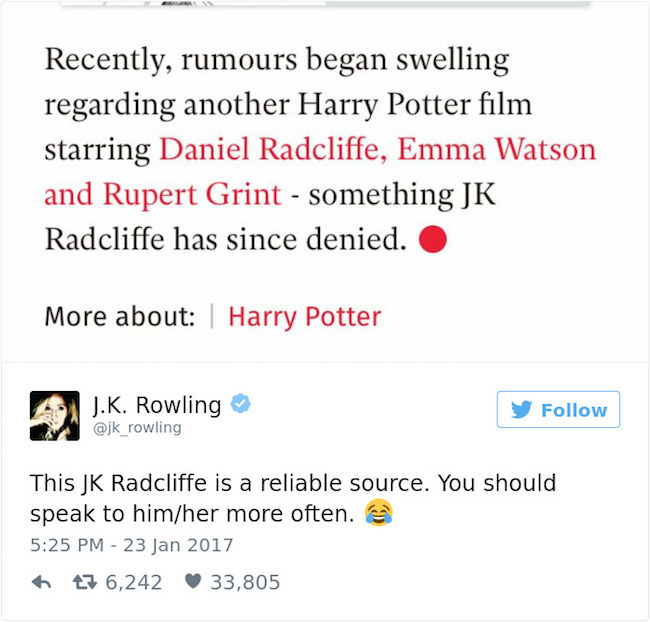 Poor, J.K. I’m sure she thought she was done having to deal with trolls after she finished writing the final Harry Potter book. 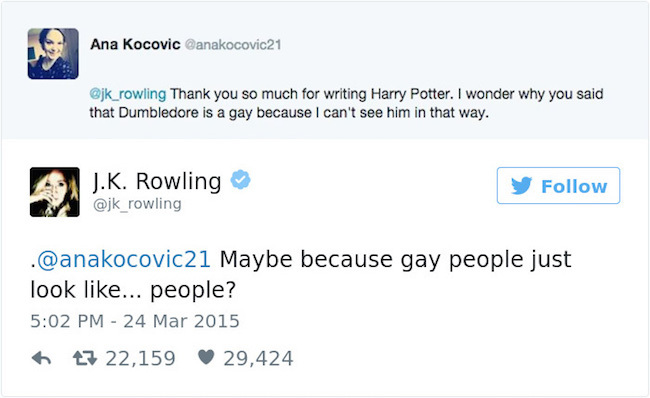 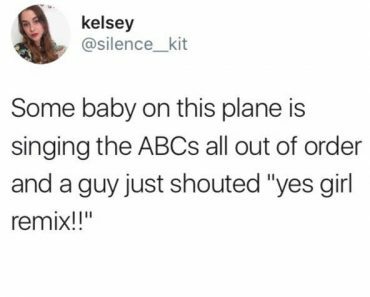 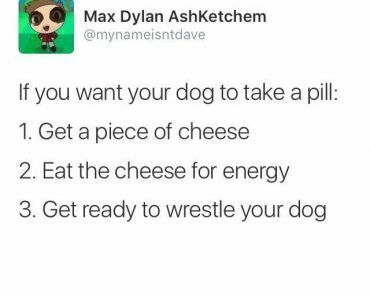 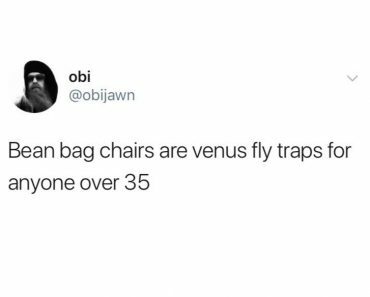 Speaking of celebs on Twitter, Anna Kendrick Knows A Thing Or Two About What Makes A Quality Tweet.